Your personality shapes how you handle a certain task; like when you present to a client. 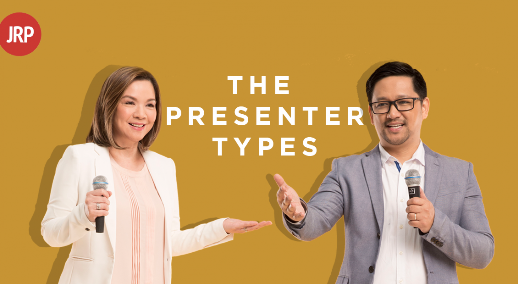 In order to make sure your presentation goes well, you first have to understand what kind of presenter you are. We’ve got the six different kinds of presenters all lined up for you, so try to figure out which one you are, and get to presenting. This speaker is energetic, and great at connecting with people, but if the audience is lazy, or has low energy, they might lose their enthusiasm. The coach has the tendency to talk more than listen. And when practicing, this presenter will go to a quiet place, pace around the room, and commit their script to memory. Although the inventor is the last person to volunteer, they’re very good at connecting ideas for people. The Inventor may have a difficult time holding on to a lot of information, and will build the deck right away, as it helps them get a firm grasp of the material. S/he speaks with feeling and rhythm, and wins over audiences easily. When speaking to audiences, they add depth and detail to the story, but this leads them to losing their structure and flow. When building the slides, the Storyteller prefers someone else to create the base deck, and they’ll add their own personal bits later on. The Teacher gets complex ideas across, and are well-structured speakers. However, this speaker tends to care more about the material than the audience. This presenter starts off with an outline, and creates a talk-track off of it, and their decks are in logical order. S/he prefers to be in the audience, and not the speaker, but still gives well-structured presentations when necessary. The Coordinator is uncomfortable working off others’ materials, and therefore builds their own decks, using keypoints that they will relate to personal experience. Remember that everyone has natural strengths and weaknesses when it comes to presenting, but the constant requirement in a good presenter is confidence. Learn more about confidence at John Robert Powers.